We wanted to thank Green Lion for allowing us to join them at their facility. With such an impressive product, we wanted to know why we love their concentrates as much as we do… The name of the game here at Green lion is “Quality over Quantity”. They produce small batches of wax, shatter, and oils with the upmost care. No shrinkage, no cracks, and you can test it and the same THC % numbers will be revealed. 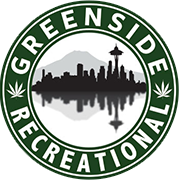 Greenside Recreational is happy to stock Green Lion products and we will continue to be advocates of quality concentrates just like these.